Harley Davidson recently announced its radical plan to introduce a varied range of motorcycles for the global markets. The company has now revealed the Harley Davidson FXDR 114 power cruiser in the Softail line-up, while it has also updated the 2018 Harley Davidson CVO line-up. 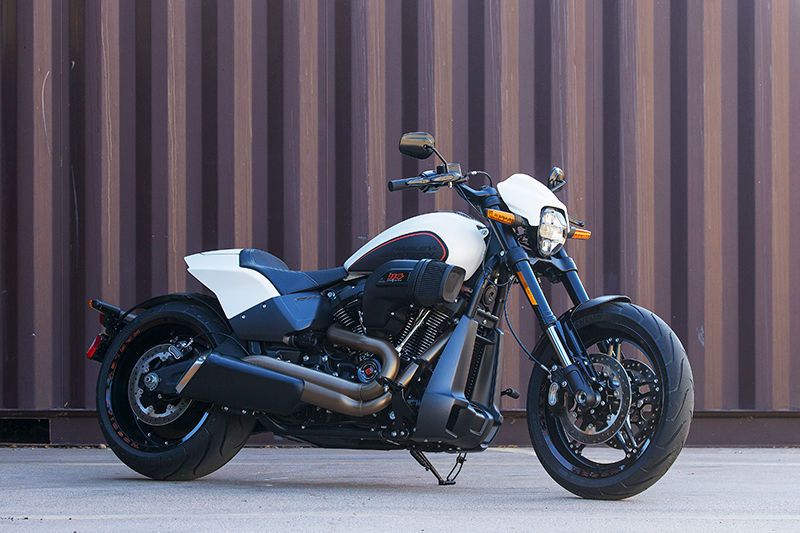 The Harley Davidson FXDR 114 is a spiritual successor of the Harley Davidson Night Rod. From the looks of it, the Harley Davidson FXDR 114 seems to be the spiritual successor of the now discontinued Harley Davidson Night Rod. The power cruiser is based on the Softail platform and sources power from the Milwaukee-Eight 114 engine. Design elements include a circular LED headlight with short cowl, sleek fuel tank, single-piece seat and chopped rear fender. The Harley Davidson FXDR 114 features raked out inverted front forks, wide handlebar, rear mono-shock, and a stubby 2-in-1 exhaust. Braking force comes from twin discs at the front and a single disc brake at the rear. The motorcycle comes with LED lighting all around, digital instrument cluster and keyless ignition. 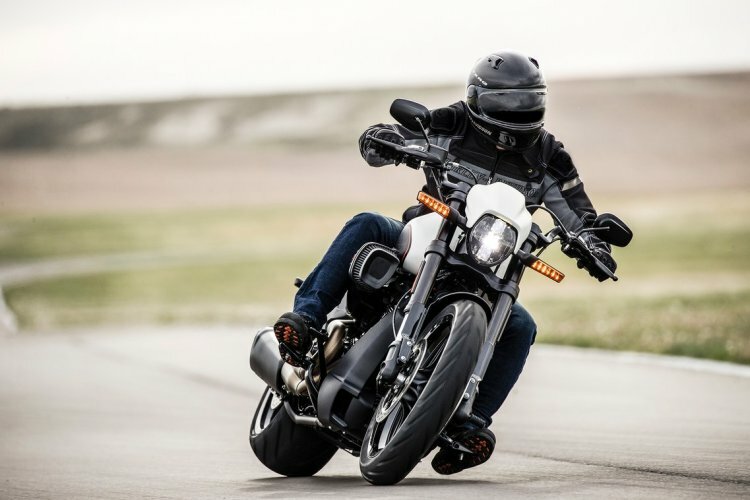 Harley Davidson reveals that the bike uses lightweight alloy wheels and composite materials in the construction of the new subframe and swingarm to reduce the overall weight. However, the Harley Davidson FXDR 114 tips the scales with a kerb weight of 302.9 kg, which is significant, to say the least. The motorcycle gets a new air intake, which has been inspired by NHRA drag bikes. The Harley Davidson FXDR 114 sources power from a 1,868 cc, V-twin, liquid-cooled motor with fuel injection that is tuned to generate a peak torque of 161 Nm at 3250 rpm, mated to a 6-speed gearbox. The bike features 120/70 R19 front and 240/40 R18 rear tubeless tires. The Harley Davidson FXDR 114 is the most expensive Softail model the United States of America, priced at $21,349 (around INR 15 lakh). The company hasn’t revealed if it has plans to launch the FXDR 114 in India. That said, the motorcycle will join the Harley Davidson Softail range in India and will sit above the Heritage Classic, which is priced at INR 20.12 lakh (ex-showroom, Delhi). The FXDR 114 likely to get a price tag of INR 25 lakh (ex-showroom) in India. Apart from the FXDR 114, Harley Davidson has also updated the CVO line-up with cosmetic and technical upgrades for 2019. The Harley Davidson CVO line-up includes three variants - CVO Limited, CVO Street Glide and CVO Road Glide. The CVO line-up receives a new audio system and styling elements. The Harley Davidson FXDR 114 is the newest entrant and flagship model in the Softail model range. The motorcycles get new colour schemes and a “Blaze Red” band on the Milwaukee-Eight 117 motor. Other than this, they also get new colour schemes. In India, only the Harley Davidson CVO Limited model is available for sale.